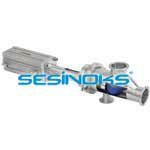 The unit is designed to remove air from the product and to measure its flow avoiding incorrect reading results. 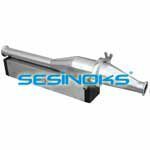 The air bubbles might alter the flow meter reading, thus, an air vent valve, or an air eliminator, removes the air bubbles and improves the reading of the transferred product quantity. 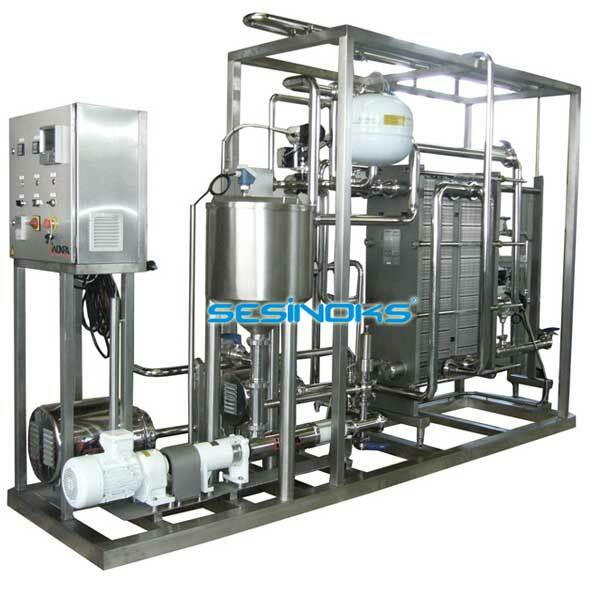 The unit has an option of selecting the volume of the liquid to be transferred. When the transferred volume reaches the required one, the unit stops the pump (this application is the most common). 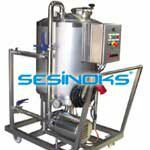 The capacity range is from 10.000 to 60.000 l/h. 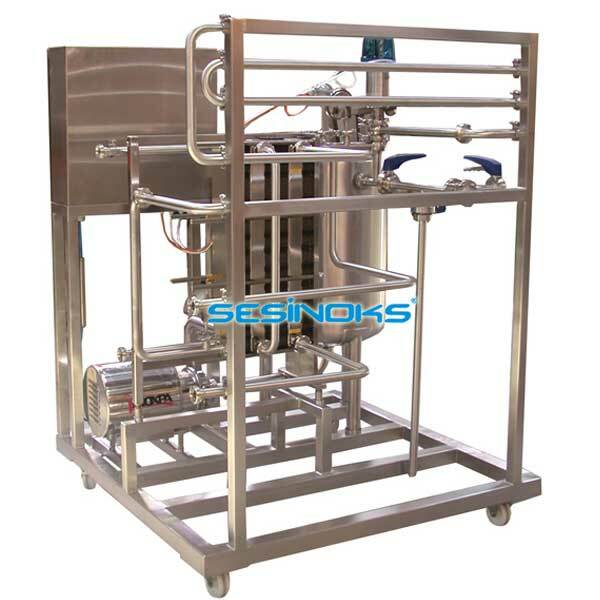 The deaerating flowmeter is designed to work mainly with low viscosity food products like wine, fruit juices, milk, water, etc. A preliminary tank slows down the speed of the liquid, it enables the separation of the two phases: liquid and gas. The separation stratifies the tank content: the liquid remains at the bottom of the tank and the gas rises. 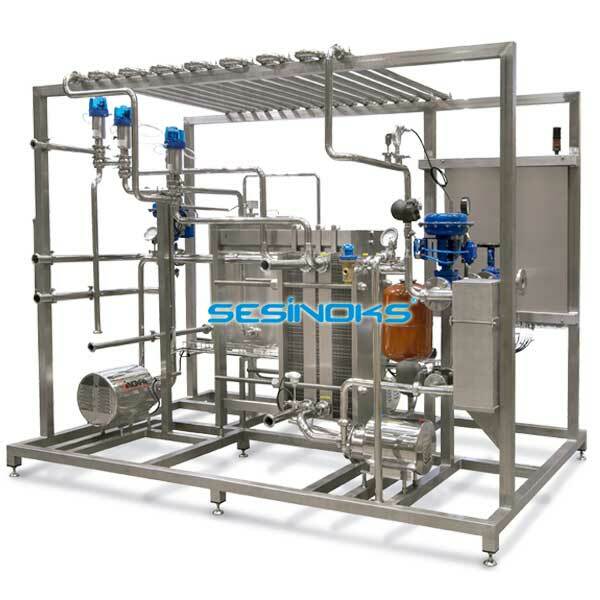 The lower layer, liquid, passes through the electromagnetic flowmeter that measures the flow rate, it is provided with the option of indicating the total of the transferred liquid. On the top of the unit, there is a vent valve that releases gases from the tank. Thus, the gas (normally air) does not affect the reading of the flowmeter. When the transferred volume reaches the required one, the unit stops the energy supply to the pumping units or sends an electric signal to be captured by an external interface. 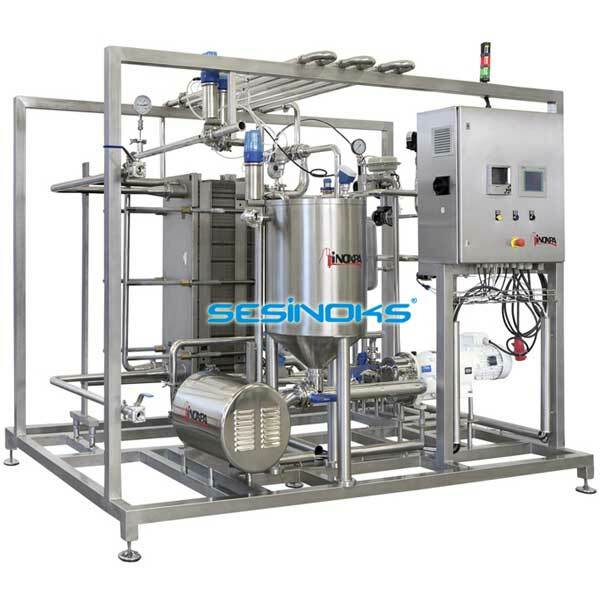 After use, the unit can be cleaned with chemical agents, typical cleaning products for the food-processing industry. CE push button box (230V). Electronic dosing module with display. Keyboard and alarm light. Power output linked to the dosing parameter (connection to a pumping unit). 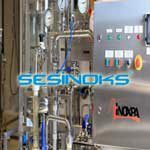 Volume-to-transfer selection enables automatic dosing. Parts in contact with the product: AISI 316L. Operator’s panel for data input. PIG sistemi, aktarma işleminin sonunda bir boru hattında kalan herhangi bir ürünün iyileştirilmesi için idealdir.